Heat coconut oil in a frying pan over medium heat. Add chopped zucchini, pumpkin and beans into a pan, season with salt and peppr and cook for 5-10 minutes until cooked. 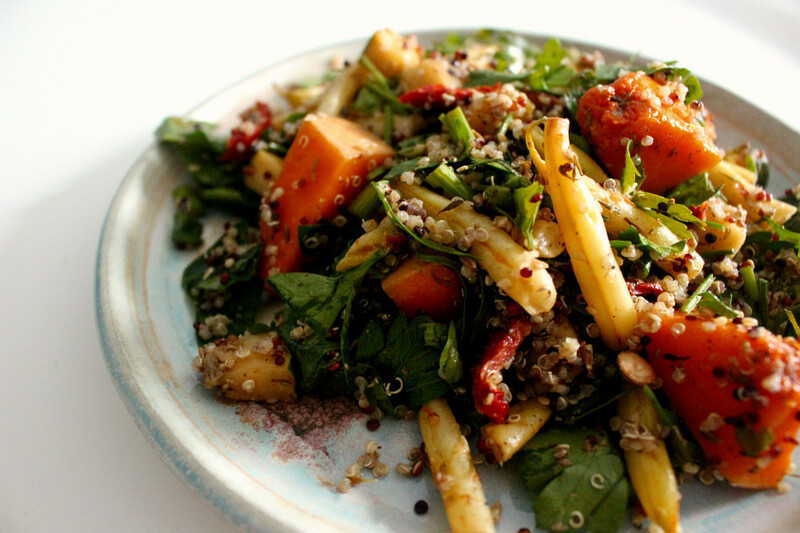 While veggies are cooked, make a dressing by mixing tapenade, e.v.o.o, vinegar and honey in a bowl. Whisk to combine and set aside. Take cooked veggies off the heat, cool it down and transfer to a large mixing bowl. Add cooked quinoa, chopped parsley, olives, sun-dried tomatoes into a bowl. Pour the dressing over the salad and toss to combine. Check seasoning and transfer to a serving plate. I hope everyone is having a great weekend and enjoying the last bit of summer. This lovely sunny weather calls for a little picnic and drinks in the park, don’t you agree? :) I’m never really into sweet cocktails though I cannot say no to refreshing mojitos or gin and tonic. 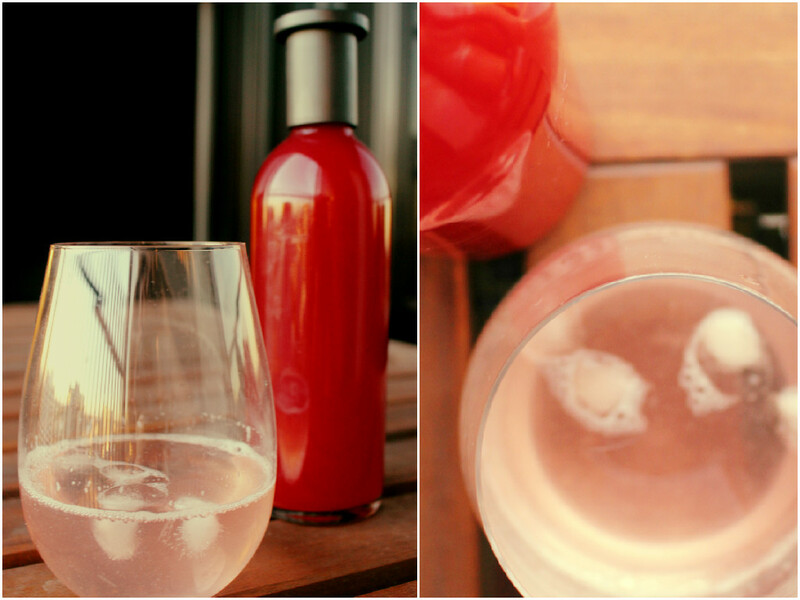 This rhubarb syrup is so easy to make at home and a sweet-tart combination makes it perfect for a summer happy hour cocktail. It looks so gorgeous in intense pink and can be enjoyed with or without alcohol. The leftover after straining cooked rhubarb simply turns into the rhubarb compote which you can have over yogurt or ice cream or make rhubarb cake. Nothing to get wasted here. Chop the rhubarb stalks into 1cm pieces. Put all ingredients into a pot and bring it up to a boil. 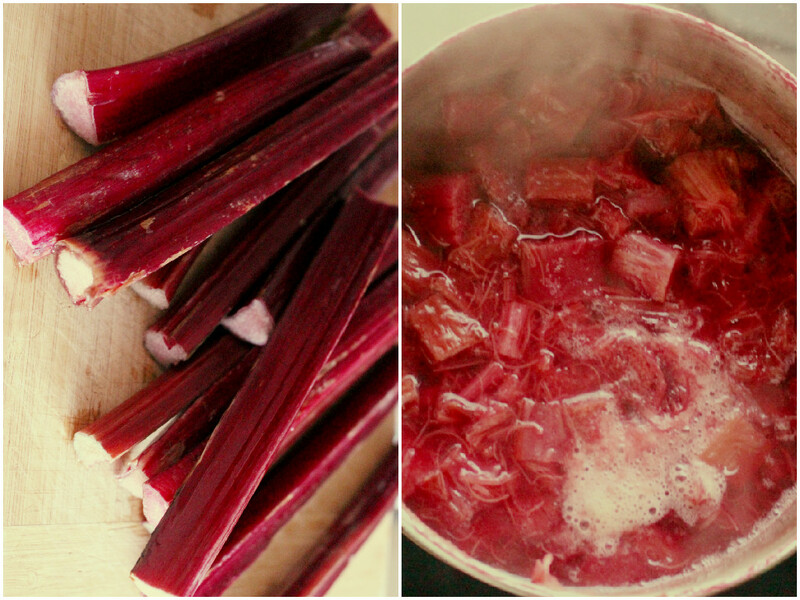 Simmer uncovered over medium heat for 10-15 minutes until rhubarb is all soft. Cool it down slightly and strain into a glass jar/ bottle. Keep it refrigerated. I’m joyfully reveling in this delicious salad, which is one of the easiest ones I’ve ever made and keeps really well in the fridge. 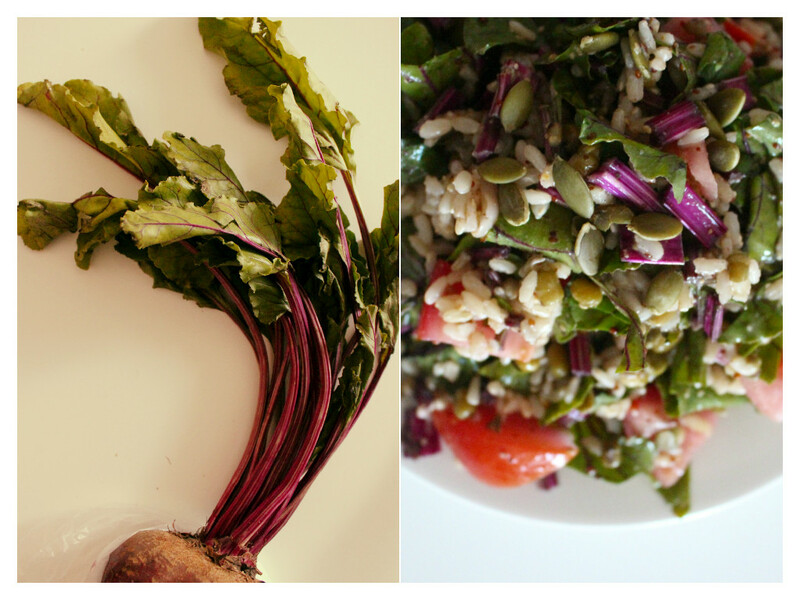 I know tender beet greens and nutty chewy brown rice don’t sound that inspiring combinations though the power of flavour comes when they are all mingled in a zingy spicy dressing! 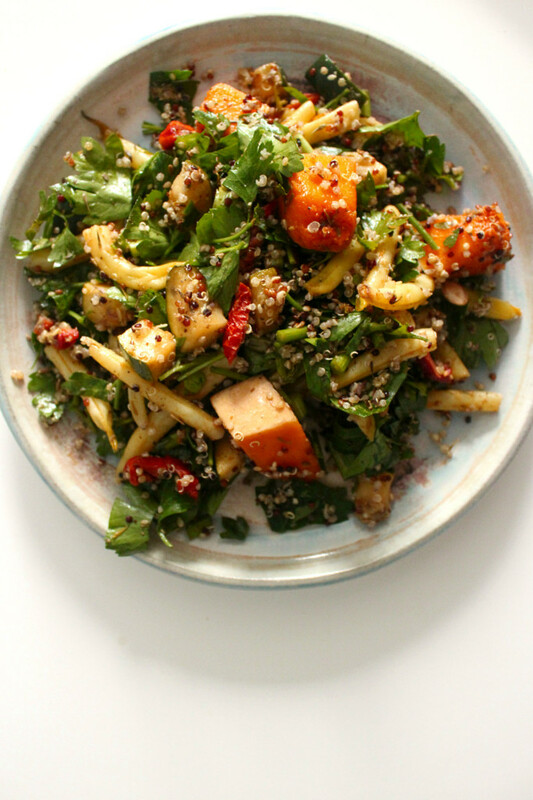 I’m totally addicted to this salad at the moment. 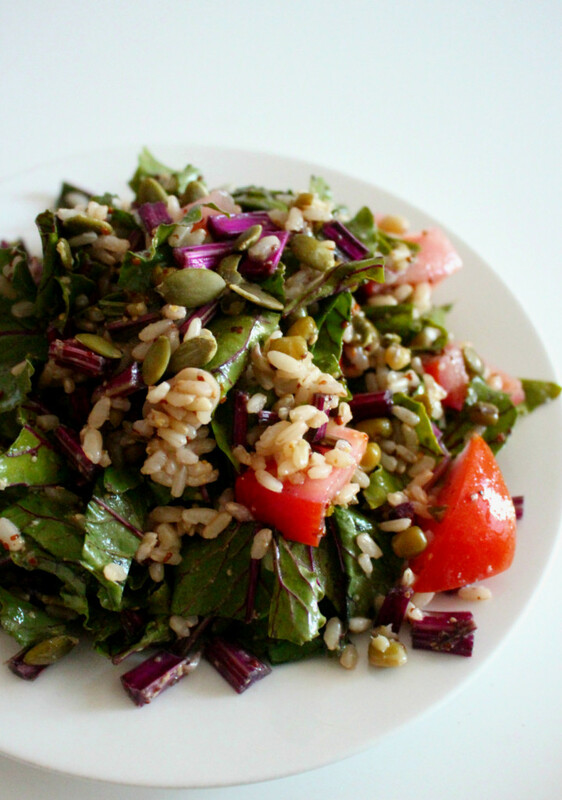 Finely chop washed beet greens and tomato. Put all salad ingredients in a large bowl. For dressing, mix all dressing ingredients in a separate bowl or a jar with lid. Pour dressing over the salad and toss to combine. Transfer to a serving plate and sprinkle more of toasted pepitas on top. When I was in 20s, wanting to lose weight and look like a model, my focus was all about protein in my diet. I tried a high protein – low carb diet, having eggs or chicken breast x2-3 times a day and avoiding rice or any kinds of carbohydrates. I developed a fear of eating carbs as if they do any harm to my body and didn’t understand a proper nutrition. I had mood swings, frustration, obsession, indigestion and constipation. Bad bad bad…As I’ve been overcoming my bad eating habits and eating healthy again, my diet is now more based on vegetables, whole grains and a minimal amount of animal protein. And somehow it is easier for me to control my cravings and feel good. Why? We need carbs to survive, generate energy and have optimal body and brain function. It is so so important! We need both simple and complex carbohydrates. Simple carbs found in fruits, coconut water, maple syrup and honey release energy more readily in our body, great for sports. Complex carbohydrates found in whole grains contain vital vitamins, minerals and dietary fibre and release slow energy. The ones we want to avoid is refined sugar and hidden sugar in processed food. So what whole grains? brown rice, wild rice, oats, buckwheat, quinoa, millet, lentils.. I’m excited just listing all these beautiful names. They all have different texture and flavour, great for making salads, sides, desserts or even mains. They are high in protein, vitamins, minerals and fibre. How to incorporate in your meals? Here is an example. Drain soaked millet. Heat coconut oil in a pot over medium heat and toast millet until lightly brown and fragrant. Add an equal amount of water and cook over low heat for 15-20 minutes or until water is all absorbed. Remove from the heat, let it sit with a lid on for 5 minutes, then fluff with a fork. 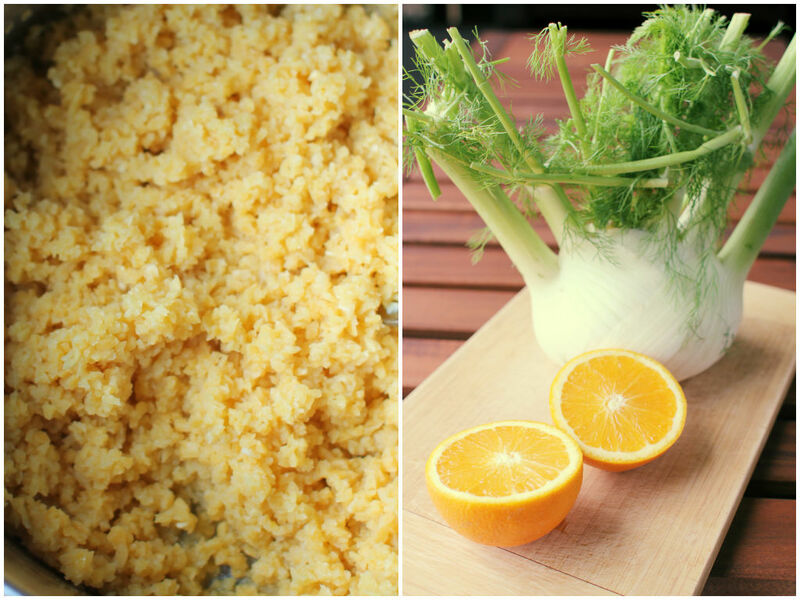 Put the millet, thinly sliced or shaved fennel and chopped the orange in a bowl. Gently toss together with a dressing. Add salt and pepper to taste. 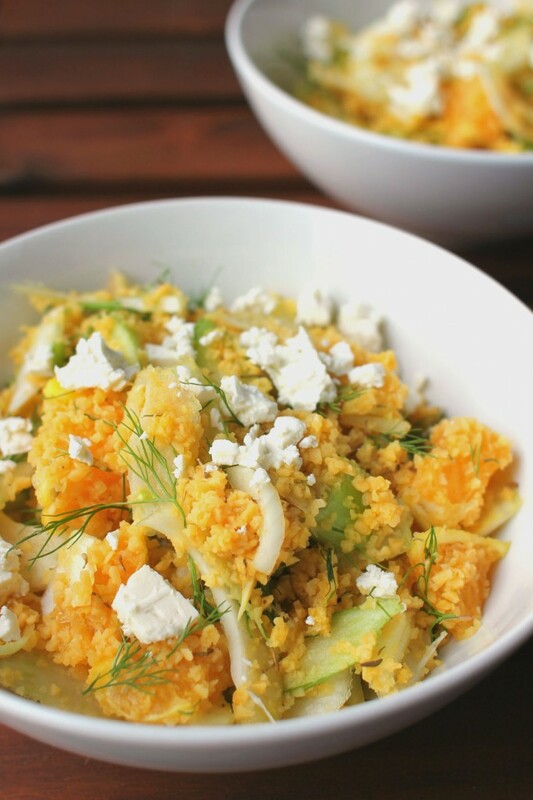 Transfer to a serving bowl and top with crumbled feta cheese. Serve either warm or cold. It is great just as it is or serve with grilled chicken or fish. I had a little experiment in my kitchen today using cooked quinoa. 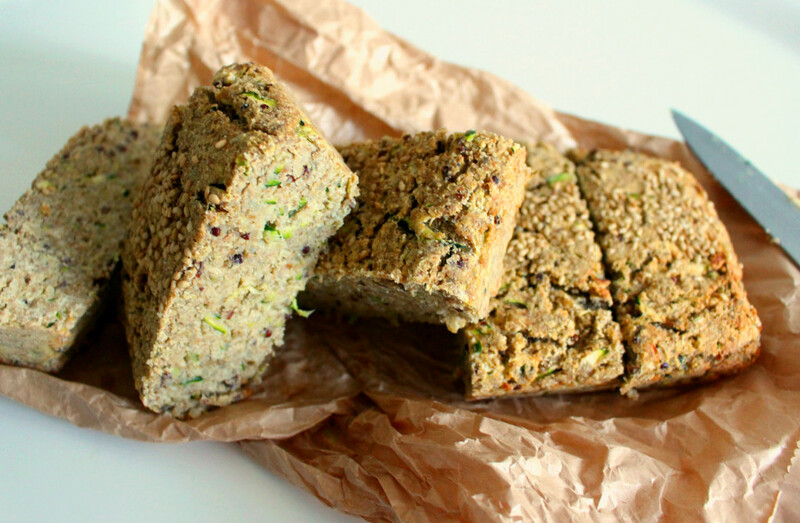 I love making savoury breakfast loaf with grated veggies like zucchini, carrot, beet and parsnip. I have to admit I eat the whole loaf everyday – my addiction, I know! 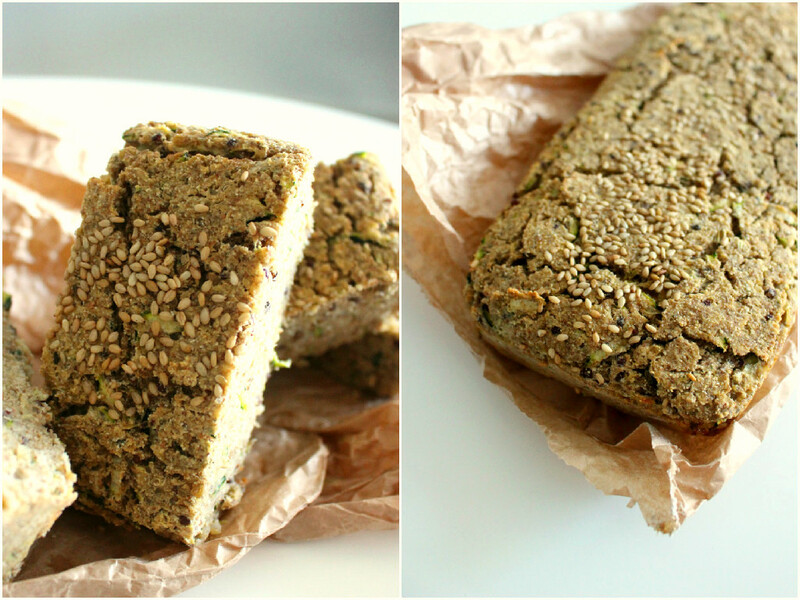 This time I added cooked quinoa in this zucchini loaf and am so happy with the results. Quinoa is high in protein with all 8 essential amino acids, rich in fibre and low GI. Not only these health benefits, it makes bread light and super moist without adding nasty butter or oil. Hallelujah! This loaf doesn’t contain any sweetener and in fact has quite plain flavour. So you can top up with your favorite spread like nut butter, tahini, goat cheese, avocado or banana. In a bowl, combine all dry ingredients including spices. In a separate bowl, lightly beat the eggs and add in grated zucchini, cooked quinoa and melted coconut oil. Combine dry and wet ingredients in a large bowl and mix well with a spatula. Pour the mixture into a prepared loaf tin and bake in the preheated oven (180) for 40 minutes or until cooked. Allow to cool before slicing.